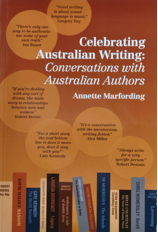 In 2016, I wrote five Spotlight posts inspired by Annette Marfording’s Celebrating Australian writing: Conversations with Australian authors, and decided that was probably enough mining of her work for my blog. However, with over two years having passed since then, I wondered if it might be okay to do another. I emailed Annette, and she kindly agreed. But, who to choose from the 21 authors in her book? Well, of course, you know from the post title who I chose, so the next question is, why him? But now, after that rather long introduction, on to Robert Drewe. Marfording’s interview took place in August 2009, at which time Drewe had published six novels, three short story collections, two non-fiction books and two plays. Since then he has written another novel and short story collection, both of which I have given as gifts in recent years, plus four more works of non-fiction. He has won two Walkley Awards, a Commonwealth Writer’s Prize, and several other awards. Wikipedia says that his novel The drowner “made Australian literary history by becoming the first novel to win the Premier’s Literary Prize in every state”. And yet, I have not reviewed him for my blog, though I did post on his Seymour Biography Lecture in 2015. It taught me how to write simple declarative sentences, it took me out of a normal Australian middle-class background and showed me how the other half live, it showed me how courts work and crime and how people at the struggling end of the spectrum live. It was really a fascinating background for a writer. … a good short story makes you look at something about your own life or experience through the prism of what you’re reading. So a sense of identification or recognition is what matters, really. I’d have to think about whether all “good” short stories need to do this, but certainly I’d agree that many or most do. Marfording then discussed his writing process, which is something that interests most readers (or, at least, those who read or listen to interviews with authors), and also a little about film adaptations, given his Ned Kelly novel, Our Sunshine, was adapted for a film which starred Heath Ledger. But, I’m leaving those to move on to their discussion about his work as an editor of short story anthologies. How, Marfording asked, does he choose short stories for his anthologies. Drewe said that he advertises in all the literary columns in “newspapers and so forth”, and, he said, “the stories arrive in their thousands.” He also reads published stories in literary magazines. He said that half the content will be pre-published stories like these, but the rest will be new – “that’s where the fun is for the editor, discovering new people.” I reckon that’s where the fun is for the people he has discovered as well. Imagine being selected by Robert Drewe! He commented that some anthologies include “slabs of novels … which goes against the whole point of short story collections.” I have certainly seen that. It’s seems fine if it’s a story that the author later develops into a novel, but to excerpt a novel feels a bit suss to me. However, I don’t want to be absolutist about this because there are always exceptions, n’est-ce pas? Then, of course, there’s that other question we readers all love, his favourite writers. Drewe’s include Gabriel Garcia Marquez, Raymond Carver, Alice Munro, Helen Garner, and Peter Temple. You can see a few short form writers in there can’t you? I generally tend to go for the imaginative ones, the ones that strike me as being less like another story than I’ve read before. The more original, the better, really. A good rule-of-thumb, methinks, though a risky one. It can result in the selection of books that many readers won’t like, and the work may not stand the test of time. But, if award-winners don’t push boundaries, where are we? We need brave judges. Would these lines make you want to read on? The two books of Drewe’s I’ve read are Shark Net and Savage Crows, both containing lots of autobiography. I used to read his columns in the Saturday paper but mostly they would just make me sorry that such a fine writer was reduced to relating trivia to make a living. Thanks Bill. He’s certainly a hard working writer clearly determined to make a living from writing. You have to hand him that I guess. “My father wasn’t in his element in party hats” would definitely spur me to read more. Such a great first line. Straight away I’m in a 70s lounge room, the father in the corner of the room, his metallic red hat propped at an angle on his balding head as he watches everyone blowing into their party honkers, his daughter glaring at him as if he’s the boring man on earth. A snapshot of a washed-out photo tucked in someone’s album. Haha Julie. Love the image you’ve depicted, particularly the daughter glaring at him! I usually find reading the thoughts of authors interesting. The differences on forms between short stories and moves has always intrigued me. I agree that short stories are an equal form and they are no less advanced then novels. I never thought about the sheer volume of material that an editor of an anthology must read before making final selections. As for anthologies, that has been gradually dawning on me. Australian Cate Kennedy talked about it with Australian love stories for which the publisher advertised. I’m with you WG and see short stories as a form in their own right, not as a ‘training ground for novels’. I started with a novella before moving on to full-length works and came to short stories later, publishing a novel long before my short story collection. I’m also in agreeance that ‘slabs of novels’ don’t usually belong in short story anthologies. They rarely make a good fit. Love the first lines you’ve selected. It would be pretty hard to pass them up, in my opinion. Thanks Karenlee. Knew you’d agree. I can see the novella-novel relationship. Those first lines are great aren’t they. Thank you so much, Sue, for singling out another interview from my book, and Robert Drewe’s at that. It seems such a long time since the interview with him, but I’m sure he’d still say the same on many of my questions if I asked him today. The Bodysurfers was my first Australian book after I migrated to Australia, and boy, did it give me an insight into Australians and what made them tick! I’ve omitted to update my website more recently when I found that most bookshops have now sold all their copies of my book. So unless any of your readers interested in getting a copy live in Port Macquarie, they’ll have to order a copy directly from lulu at https://www.lulu.com/shop/search.ep?keyWords=Celebrating+Australian+Authors&type=. I’ll attend to updating my website accordingly this week. Thanks Annette. It’s a great interview. I meant to check your website again before posting this… I’ll try to remember to add that link when I’m free. I didn’t know about Annette’s book. So the post was a great introduction to it. This email was the only way was offered to comment. The Phone didn’t give me access to the usual Comment. Oh these devices, Carmel. I don’t know what yours were doing but somehow the comment got through anyhow! The way a site can behave differently in different devices can be very disconcerting, of not completely discombobulating, at times, I’ve found. Anyhow, I’m glad you’ve not been introduced to Annette’s book. Thanks for commenting. I’ve read quite a few of Drewe’s books, and particularly liked the novels (of course). I read Grace long ago with a book-group, and more recently Whipbird, which I really liked. For some reason I didn’t get on with The Drowner, which won the Premier’s Prize in every state, I think I should re-read it one of the these days to see if I’ve changed my mind. I also liked his memoir, Montebello, which among other things introduced me to the knowledge that there were nuclear tests off the WA coast. I agree with Bill about the comic newspaper columns: one of the books I read seemed to be a collection of those. They can be funny but they wear thin after a while and are forgettable in the long term. But he was a journalist before he was a novelist, and they were part of being a professional writer. As newspapers decline and there are fewer opportunities for this kind of bread-and-butter writing, it will be harder for writers to make a living just by writing alone. Thanks Lisa. I have Montebello here somewhere, but for some reason I couldn’t put my hands on it last night. My TBR is getting a bit disorganised, so I need to get it back into order! You make some good points regarding journalism, those lighter columns, and making a living as a writer. Who knows what’s going to happen in the future. I would like to see more flexibility in paying for online writing. I do subscribe to the Guardian and donate annually to The Conversation, but how many can I afford to pay or justify paying? I have subscribed to others over the years, but have cancelled them as I found I wasn’t reading them enough. Thank you for introducing me to the book by Annette. I must seek it out. Carmel, do check out the link she’s provided in her comment, because apparently that’s more direct than going to her website she says. Thanks, Carmel. I’m sure you’ll enjoy it – perhaps especially the long interview with your ‘neighbour’ Alex Miller. Yes, he was high on my list for doing too – and I’ve actually reviewed a novel of his here!! Absolutely forgiven Glen … I’m not sure whether you have, but I have heard (or perhaps read it myself) before, but I’m afraid I had forgotten it. It’s a great one I agree.